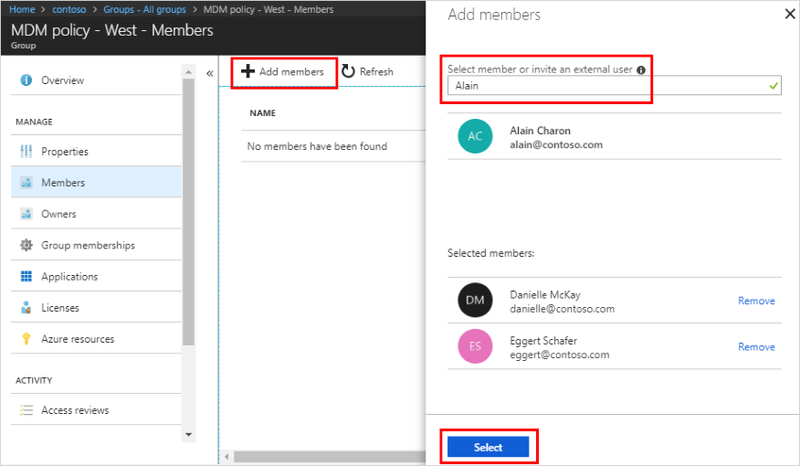 Using Azure Active Directory, you can continue to add and remove group members. From the Groups - All groups page, search for and select the group you want to add the member to. In this case, use our previously created group, MDM policy - West. 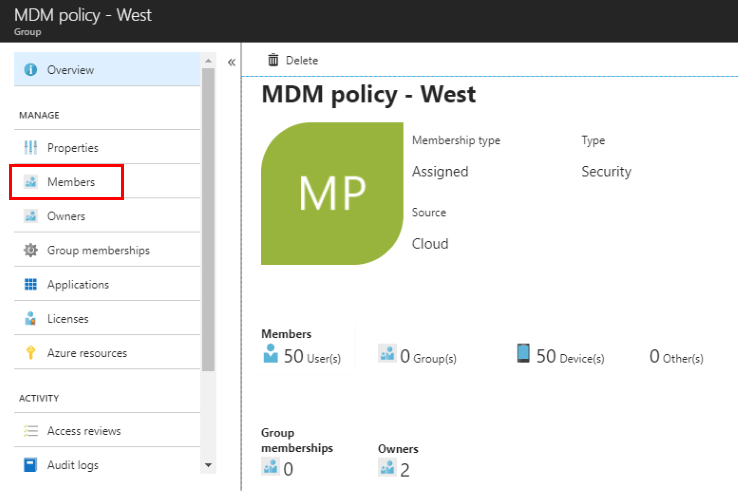 From the MDM policy - West Overview page, select Members from the Manage area. Select Add members, and then search and select each of the members you want to add to the group, and then choose Select. You'll get a message that says the members were added successfully. Refresh the screen to see all of the member names added to the group. From the Groups - All groups page, search for and select the group you want to remove the member from. Again we'll use, MDM policy - West. 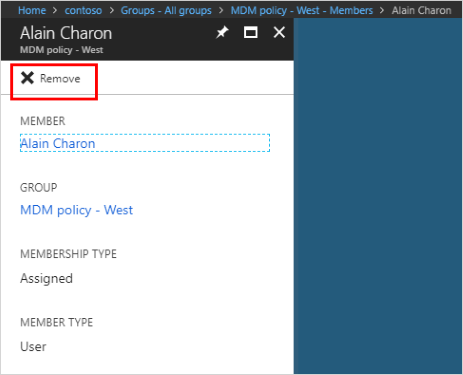 Select Members from the Manage area, search for and select the name of the member to remove, and then select Remove.